Wystan Hugh Auden died forty years ago, on September 29, 1973, in his sleep after a poetry reading in Vienna, Austria. He was 66. I read his obituary in Time Magazine a few weeks later; I was ten years old. 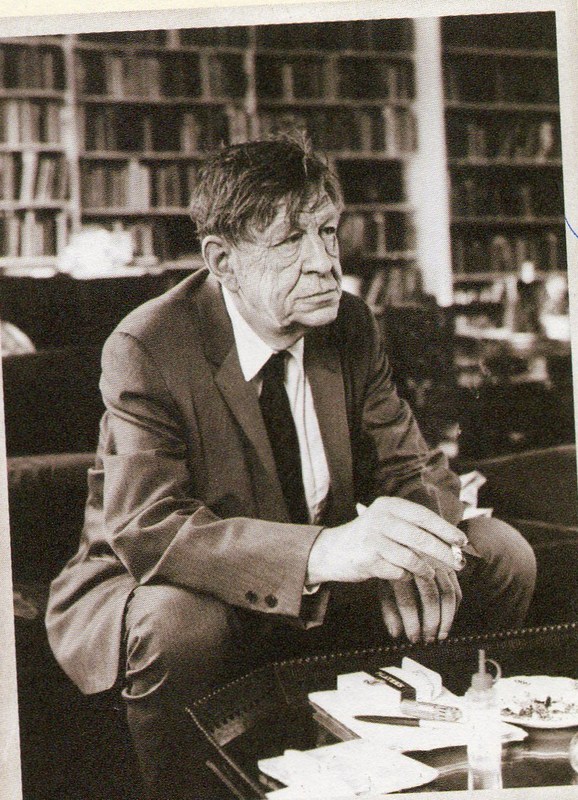 Discovering Auden for me was the discovery of — I meant to write, what you could do with language, but I realize I want to say something else: what language could do with you, an impersonal power coursing through the husks of words that, freed, could shock you to delirium, or wring you and your attempts at meanings like a wet rag. That chasms of mood so jagged, sinister, and deep could open after shuffling a few sounds struck me as an appalling secret underneath the world, as though Hagia Sofia or the Alhambra, which haunted my imagination though I’d never seen them, could be constructed out of matchsticks. All through my teenage years an old paperback of his Collected Poems sat on the floor near my bed. Even today to think of its cover, stark green letters on white like an Icelandic landscape, gives me a sense of companionship coupled with fear and awe. No other writer except Nabokov has ever affected me so much. Let us remember all who seemed deserted. That little tower like a great animal. Remember who we are nor why we’re needed. Happy their wish and mild to flower and flood. For the taste of joy in the innocent mouth. Can follow for ever and ever its harmless ways.